One Man Is Restoring MANOS: HANDS OF FATE | Birth.Movies.Death. Going from the 16mm workprint, he hopes to make this classic of awfulness look better than ever. It's possible that Manos: Hands of Fate is the worst movie ever made. If it's not the actual worst it's right up there in the top two or three worst. It features stunningly bad acting (worsened by the fact that the whole film is dubbed), incompetent cinematography, incomprehensible night shooting and an evil sidekick, Torgo, who is easily the weirdest of his weird ilk. 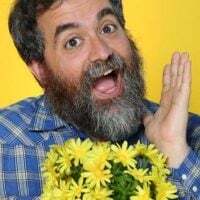 Many people have discovered the incredible badness of Manos through Mystery Science Theater, who did one of their all-time best episodes on the film. Writer, producer, director and star Harold P Warren was a fertilizer salesman who made the movie after he bet that he could make a perfectly fine film on his own. He lost the hell out of that bet, but we all won - at least those of us who treasure truly horrible works of art. Manos was never particularly well preserved, and it turns out that every print of it is even worse than it needs to be. The film was shot and edited on 16mm and then blow up to a 35mm negative, losing generations of information along the way. While a workprint of any film would be interesting, it soon became clear that this print was even more special than that. In what was likely a cost-saving measure, the entire film had been shot on silent 16mm Ektachrome reversal stock and was then edited on that same stock. A 35mm blow up negative had been made from that, which was then used for distribution prints and television prints. Therefore, the rough condition of the Manos that we’ve all seen can be attributed to release prints being several generations from the source. This also meant that, under the dirt and scratches sustained during editing, I was looking at the very film that had run through the camera back in 1966. Here I would like to share this material as I examine it. Some parts of the print look better than others. At its best, it looks like it was shot yesterday. At its worst, it is splotchy and held together with 45-year-old tape. These delicate reels cannot be simply thrown onto a projector and watched- but sections can be scanned on a simple desktop scanner with some care and effort. The workprint that Ben has includes an opening scene that has never been attached to any print. 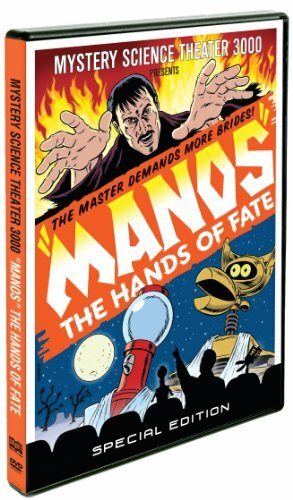 A fully restored, director's vision of Manos: Hands of Fate in HD? Sign me up. Click here to follow his progress. Thanks to @nickrob for the link. One fan’s dream come true. Netflix celebrates the launch of the new MYSTERY SCIENCE THEATER 3000 by feeding its darling to Jonah and the ‘Bots.